Welcome Competitors! And Happy Thanksgiving!! We wanted to send along some quick details about this Saturday's Chili Cookoff. 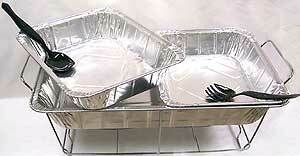 You may transport it in anything you like: stock pot, crock pot, aluminum chafing tray, ziploc bag, etc. 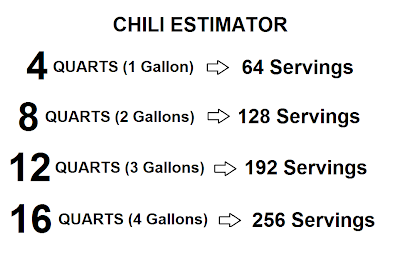 You may transport it hot or cold; please note that each station will have sterno lamps to keep chili warm during service, and depending on your transport carrier, you may also use the kitchen to quickly heat up. 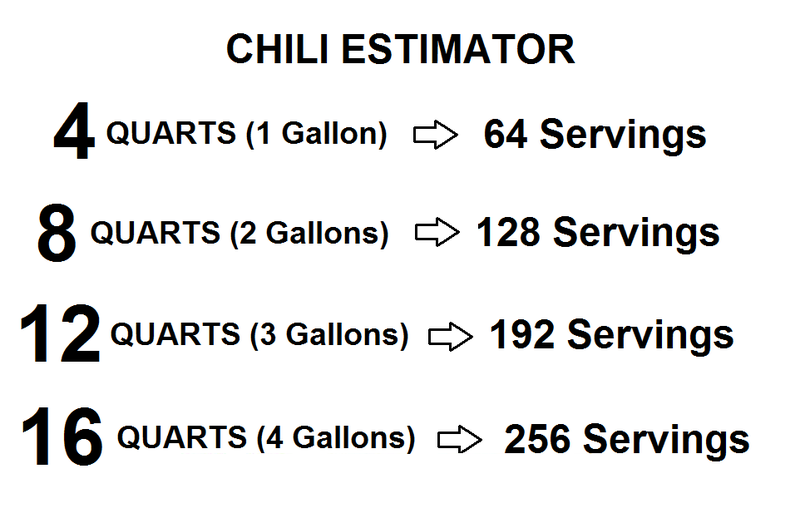 Please note that 2 Gallons (8 Quarts) should be the MINIMUM amount of chili for this competition, which would provide enough tasting samples for about 130 people. We have sold over 100 tickets so far, and anticipate more tickets sold at the door. When you arrive at the Crystal Community Club in Wakefield (between 3:30 and 4pm), our staff will greet you and show to your station. You will fill out your station's signage with your chili's name, spiciness factor, and allergy/dietary warnings (contains meat, contains nuts, etc). You can also fill your chafing dishes with chili and light your sternos to keep your chili warm. 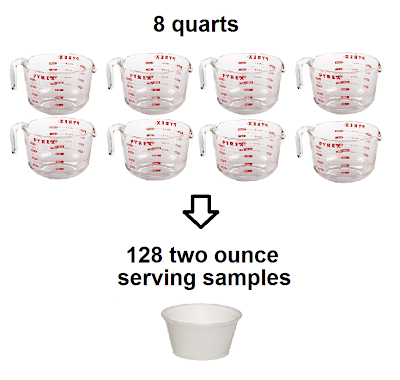 As general attendees arrive, you should start filling the two-ounce sample cups in front of your station. 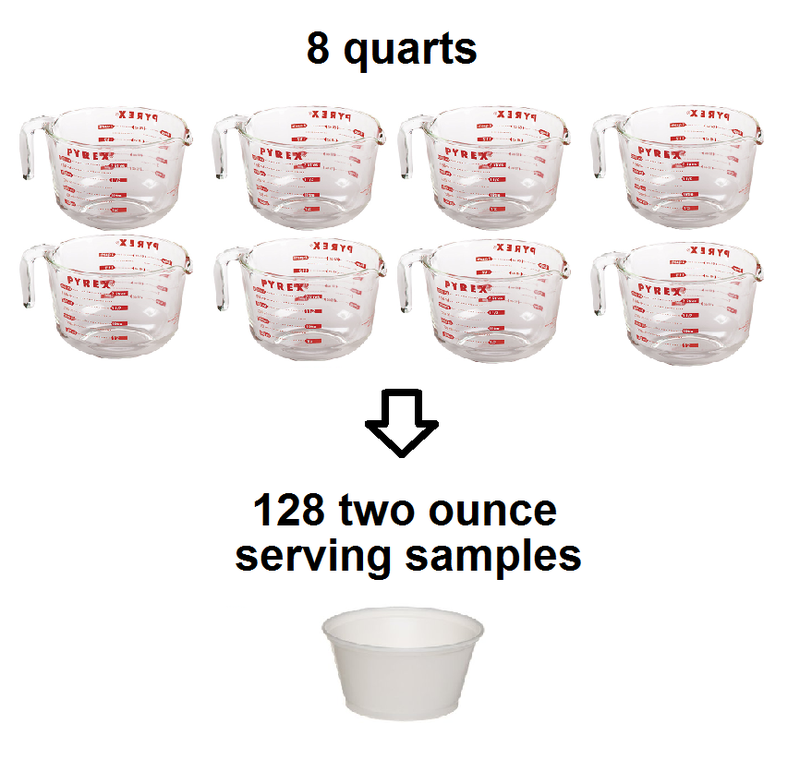 It's not required that you stand at your station for the entirety of the competition, however, you will be responsible for keeping an eye on your sample cups and refilling as necessary. The "chili tasting" should take place between 4:30 and 6:30pm. General Attendees and Competitors will each be provided with a single "voting button" as well as a score card for tracking notes. General attendees and competitors will grab chili samples from each station. After sampling all chilis, each person will cast a vote for their favorite by placing a single voting button in the voting jar located at the front of each chili station. There will also be four official Judges who will sample all chilis and score them separately. Around 6:30pm, there will be an announcement for final votes, and voting will be closed shortly thereafter. Chili Pimpin Award - as determined by the Justin's Climb staff, for most creative or exuberant chili "marketing"
Following the awards ceremony will be the results of the raffles and silent auctions. The rest of the evening will be filled with dancing, entertainment from both the North Ave Band and DJ Pat Tecce, cash bar, group photos, food and snacks. Please note that the Crystal Community Club does not accept credit cards. If you have any questions, please email us at info@justinsclimb.org. Thanks and have a HAPPY & SAFE Thanksgiving! DJ Pat Tecce and the North Ave Band to play at the JLM Chili Cookoff! The North Ave. Band was founded in 2008, recreating rock classics & entertaining audiences of all sizes & ages at private functions, restaurants & pubs throughout the Greater Boston area. From The Doors to Lit, from Elvis to Carrie Underwood, a night of music with The North Ave. Band will encompass all your favorites. The North Ave. Band is based right here on the North Shore. We know the community and our clients needs. You may already know some of the folks below or some of the many local establishments, charities & people like yourself who have enjoyed our music. DJ Pat Tecce began his early music career at age 14. He knew back then his talent as a musician playing in a band, allowed him to answer his calling and seek out his true passion to become what he is today...one of the most sought out professional wedding entertainers in New England! Since 1987, DJ Pat Tecce, has been working his magic at weddings, engagement parties, corporate events and many functions of all kinds; fine tuning his artistic ability and gift of knowing, and having what it takes to make every event a tremendous success. As a result of the top-notch talent at DJ Pat Tecce Entertainment, the client base and following has increased steadily over these many years; bear in mind that almost 100% of this increase is due to referrals from prior or current clients who are so pleased with their experience, Pat loves people, loves to have a good time and loves music. Justins Climb Welcomes Corporate Sponsors Tanner Plubming & Heating and Salem Five Savings Bank! Justins Climb welcomes corporate sponsors the Salem Five Savings Bank and Tanner Plumbing and Heating! Justins Climb Welcomes Corporate Sponsor Falite Brothers! Thank you, Falite Brothers Inc, for sponsoring the JLM Chili Cookoff! Winter or summer, keep your home or business truly comfortable by turning to the experts at Falite Bros. to install and maintain your heating/air conditioning system. 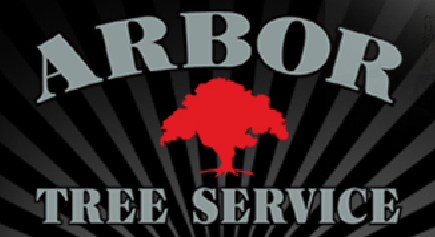 Justins Climb Welcomes Corporate Sponsor Arbor Tree Services! Thank You, Arbor Tree Services, for sponsoring the JLM Chili Cookoff! Arbor Tree Service Incorporated located at 160 Foundry St, Wakefield, MA has been conducting business in the greater Boston area since 1977. Arbor Tree Service specializes in extremely difficult hazardous removals, utilizing crane and climber service, the use of aerial bucket trucks and the most advanced roping and rigging techniques available in the industry. “Class A” fine pruning, aesthetic shaping, crown reduction, thinning, and removal of dangerous dieback and deadwood on all species of trees are just a small part of our daily routine. Active in both the private and public sector, including commercial and residential jobs, Arbor Tree Service welcomes the opportunity to assist you on any of your tree related needs. Justins Climb Welcomes Platinum Sponsor Roberto Brothers Roofing! 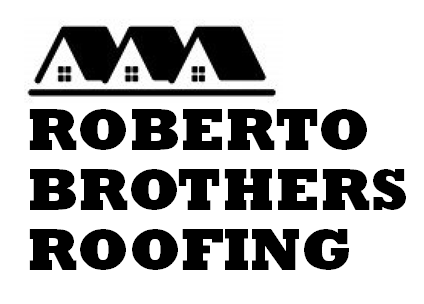 Special Thanks to Roberto Brothers Roofing for your generous Platinum Sponsorship of the JLM Chili Cookoff! Is your company interested in sponsoring the Justin Leo Marshall Chili Cookoff? Click here for more information. And don't forget to get your tickets before they sell out! 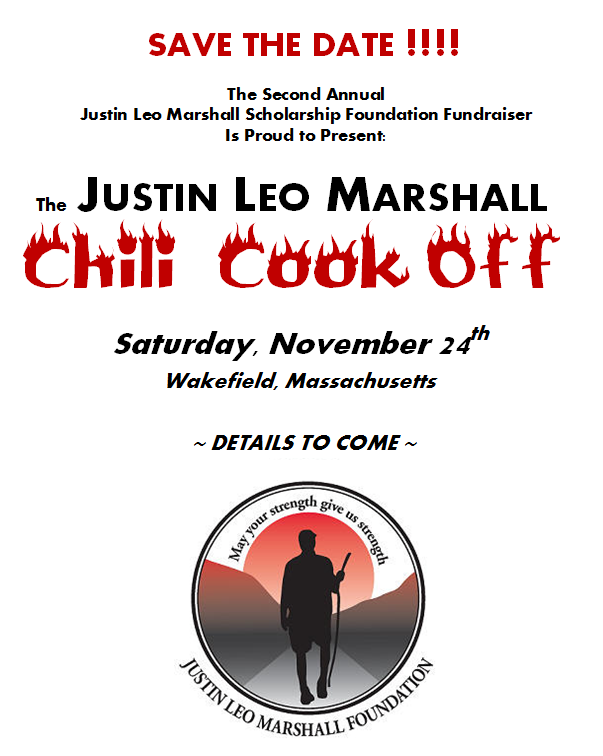 The JLM Chili Cookoff will take place on Saturday, November 24, 2012, in Wakefield, Massachusetts. 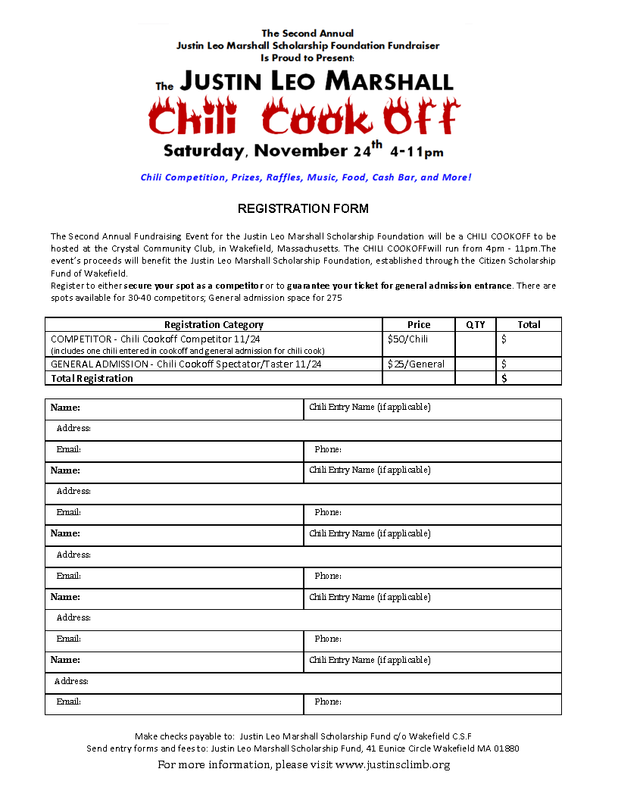 We still have spots available for Chili Cookoff Competitors. Learn more. Bauer Auctions Head-to-Toe Hockey Gear JLM Chili Cookoff!!! Bauer Hockey is proud to be a sponsor of Justin's Climb: Chili Cook Off. For the silent auction at the November 24th event, Bauer will outfit this contest's winner in head-to-toe hockey equipment, including skates, shoulder pads, elbow pads, shin pads, pants, a helmet, a stick and gloves. The contest is geared toward youth and junior entrants who are 13 or younger. Parents and friends are encouraged to bid for children and family members who play hockey. The winner will be fitted by a Bauer professional and will receive the gear at a date determined after the Chili Cook Off. Bauer Hockey is located in Exeter, NH, and is the world’s most recognized designer, marketer and manufacturer of hockey equipment. 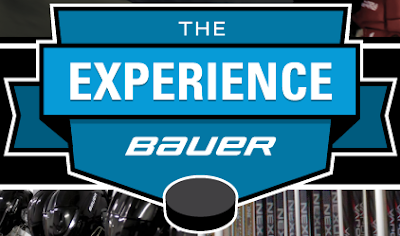 Bauer offers three unique, elite-level lines of equipment: Supreme for explosive power, Vapor for dynamic speed and Nexus for pure control. Each of these offer distinct styles and fit and are tailored to the type of performance demanded by the player. Learn more at Bauer.com and use the featured gear selector to see what fit is best for you as you prepare your bid for the Chili Cook Off! Is your company interested in donating goods or services the Justin Leo Marshall Chili Cookoff? Click here for more information. To make things easier for you, we now have a PRINTABLE REGISTRATION FORM. Click on the image below to enlarge, and then print and fill out. Please mail your registration form, along with any associated fees, to: Justin Leo Marshall Scholarship Fund, 41 Eunice Circle, Wakefield, MA 01801. Please make checks payable to: Justin Leo Marshall Scholarship c/o CSF Wakefield. There's still plenty of time to register for the Justin Leo Marshall CHILI COOKOFF on Saturday, November 24th. Sign up to enter your chili, or to get tickets to the event. See the EVENT PAGE for details. Quick Disposal & The Wakefield Savings Bank Support the JLM Chili Cookoff! Another big THANK YOU to our latest corporate sponsors: Quick Disposal & The Wakefield Savings Bank!! Click Below to read more about these two awesome Wakefield based businesses! 3 Little Figs supports the JLM Chili Cookoff! 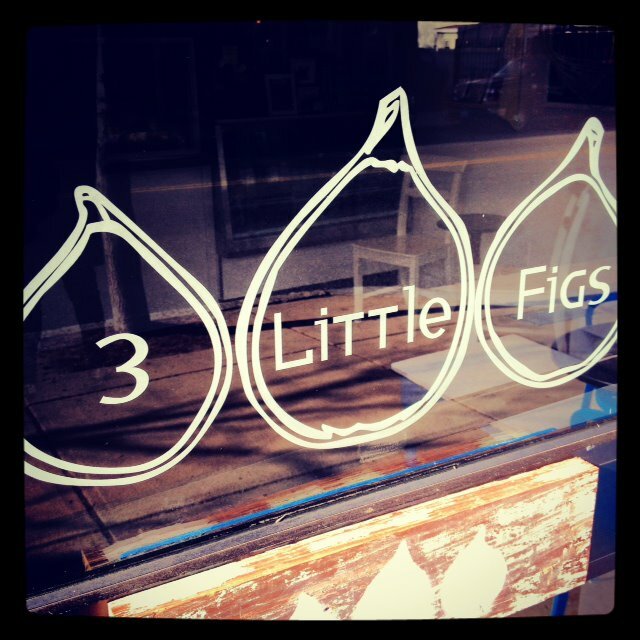 A big THANK YOU to the latest JLM Chili Cookoff Corporate Sponsor: 3 Little Figs! 3 Little Figs is a family-owned, Mediterranean-inspired bakery & coffee bar, located in Somerville, Massachusetts. The only place where you can find truly unique, all natural, and delicious creations, like the spiced glazed pumpkin scone, avocado muffin, lavender biscuit, egg & feta breakfast sandwich, and spinach pie. Inspired by Greek family recipes, as well as natural, organic, and locally sourced ingredients, 3 Little Figs is the hottest new place for some tasty bakin' and Gimme! coffee & espresso. SPONSOR the JLM CHILI COOKOFF! 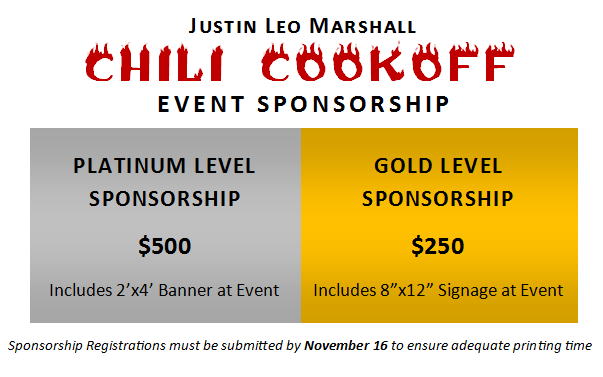 Are you or your business interested in sponsoring the Justin Leo Marshall Chili Cookoff? Sponsor Online - click "Sponsor Online" and select REGISTER in the top right corner. Proceed to your desired sponsorship level, and check-out. Make sure to include the name of your business which will appear on the event banner. Sign Up via Mail - send your Sponsorship Donation via USPS mail, along with the name of your business which will appear on the event banner. For more information about becoming a sponsor of this year's Justin Leo Marshall Fundraising Event, please contact info@justinsclimb.org. Have you heard about our Chili Cookoff on Saturday, November 24th 2012? Click the EVENTS PAGE for more information. Check out the updated EVENTS PAGE for information on how you can get your tickets and/or register for the Justin Leo Marshall CHILI COOKOFF on Saturday, November 24th! SPACE IS LIMITED! GET YOUR TICKET SOON! Visit the EVENTS PAGE for more information. Welcome to the new JUSTINSCLIMB.ORG! The new site will have additional features such as a user comments sections and regular News and Updates from the Justin Leo Marshall Scholarship Foundation committee. If you have any questions or comments, feel free to leave them below. Thanks for supporting Justins Climb and the Justin Leo Marshall Scholarship Foundation.